Workplace safety equipment or personal protective equipment (PPE) is worn to minimize exposure to serious injuries that may result from contact with chemical, radiological, physical, electrical, mechanical or other workplace hazards. But workplace safety equipment that offers protection without comfort no longer cuts it, at least according to the workplace safety equipment manufacturers who weighed in on PPE trends for Safety+Health magazine. Workplace safety equipment includes items like gloves, safety glasses and shoes, earplugs or muffs, hard hats, respirators, coveralls, vests and full body suits, all designed to keep workers safe on the job. And workplace safety equipment is often the last line of defense against a workplace injury. “If there’s a consistent theme across industries, it’s a desire to continue to improve comfort while not compromising the performance of PPE or the protection it provides. We’re always looking for ways to make workers forget they’re wearing PPE over the course of an eight-hour shift. Lighter, second-skin type of gloves that are form-fitting can deliver ultimate comfort,” said Darryl Nazareth, senior vice president with R&D Ansell in Iselin, New Jersey. Brad Witt, with Honeywell Industrial Safety in San Diego, said he sees more interest in making workplace safety equipment work as it should. “We see more employers who discover that simply handing out earplugs does not necessarily stop OSHA-recordable noise-induced hearing loss. The trend has definitely moved from ‘wear it’ to ‘wear it correctly’ – and then verifying that correct fit. Documentation of proper fit of a hearing protector is powerful information in the hands of the employee to confirm what a good fit feels and sounds like, and also valuable information for the employer in focusing training efforts on the right people to reduce liability for hearing loss,” he said. The motivation for companies to get it right when it comes to workplace safety equipment increased this month when the U.S. Department of Labor adjusted for inflation the penalties employers will pay for workplace safety violations. Maximum penalties issued by the Occupational Safety and Health Administration (OSHA), which had not been raised since 1990, increased by 78 percent. The top penalty for serious violations rose from $7,000 to $12,471. The maximum penalty for willful or repeated violations increased from $70,000 to $124,709. Bureau of Labor Statistics data shows that falls to a lower level accounted for 14 percent of all fatalities in 2014, and OSHA standards related to scaffolding and ladders are regularly among the most frequently cited violations. Tips: Buy the correct-sized gear for workers, and keep in mind that although some work environments may have anchor points readily available, other locations may need an engineer to install them. Remind employees to hook to the anchor point when working at height, and keep a close eye on how well workplace safety equipment is holding up. 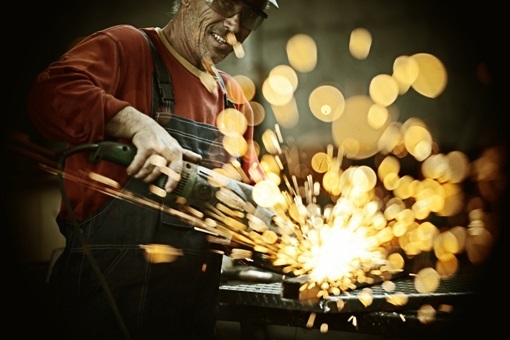 Environments with sharp edges, chemicals or welding, for example, can weaken a harness, eye protection, head protection, knee protection, respirators and safety vests. Regularly inspect your workplace safety equipment, and remove damaged PPE from service. Clutter blocking fire exits, aisles and emergency exits is a housekeeping problem that the consultants see often. But proper safety signs are also important. And the next big thing in workplace safety equipment? That would be wearable technology. “Integration of wireless and Bluetooth technologies within workplace safety equipment are here and continuously evolving. Specifically in portable gas detection, the incorporation of Bluetooth technology opens up for further advancement in safety and data management by providing applications such as app-based awareness, instrument maintenance and lone worker protection. In the future, integrating this technology with other workplace safety equipment such as accountability software for SCBAs would allow you to send messages to incident command providing even faster and more direct responses to potentially hazardous situations,” said Anne Osbourn, industrial and utilities marketing manager with MSA in Cranberry Township, Pennsylvania.